Here’s a little-known fact: The very first version of Airport Madness was prototyped as a 3D game. It was 2008, back before there were smartphone apps, back when Flash games were still very much alive. I was new to programming and had no idea how I was going to build the thing. Flash presented some very serious performance challenges for the 3D game developer. I eventually gave up and decided to make the thing a simple 2D game. In hindsight, 2D was the right move. It would’ve failed miserably as a 3D game in 2008. 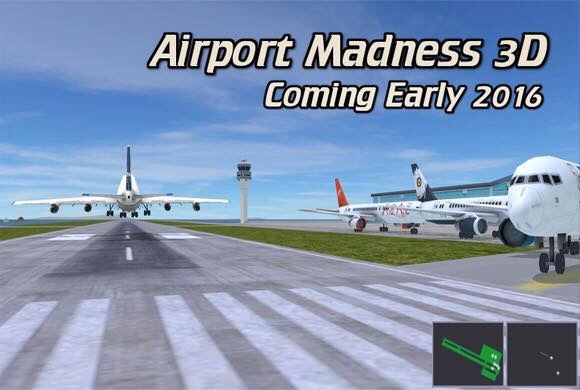 But now with faster mobile devices out there, and development platforms such as Unity3D, the world is ready for a 3D version of Airport Madness. I finally began development of a 3D version of Airport Madness about a year ago, but until this week, I had doubts about whether the 3D version could ever be as fun as its 2D predecessor. I was worried about how small the airplanes would look when viewed in a 3D space. Who’s going to spot a Cessna on final approach from two miles away, while playing on an iPhone 5? And what about performance? Anyone can build a game by purchasing a bunch of pre-built game objects such as airplanes, runways and hangars. However, there can be very serious performance consequences by doing so. When a 3D artist creates an object such as a hangar, they give it as much detail as they can. They want the thing to look perfect, because game developers may use it in their first-person shooter games, where the building will be viewed up close. Such incredible detail puts a heavy workload on mobile devices, and can cause the app to crash frequently. 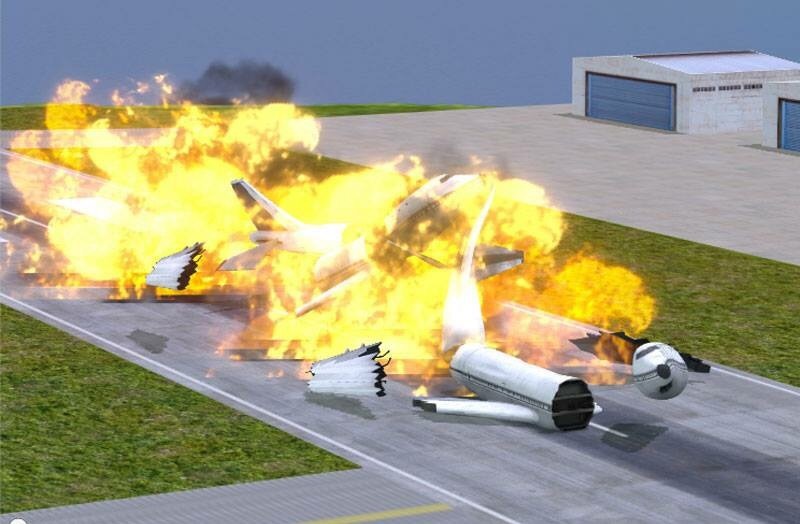 Development of Airport Madness 3D is going tremendously well. I’ve created airplanes, runways, water, grass, hangars, towers, fuel depots, gates, airport signage and vehicles that not only look good, but offer stability on mobile devices. I’ve found beautiful music and sound effects. I’ve chosen some fun airports. And I’ve kept the control instructions the same as that which you see in Airport Madness: World Edition. Most important: I’ve obeyed the rules of Airport Madness. I’ve avoided the urge to go “realistic”, and kept the focus squarely on the word “fun”. Planes move quickly. Conflicts are frequent. Crashes are exaggerated. Airport choices are based purely on how fun I’ve determined their layout to be. It would be a mistake to say, “Hey, wouldn’t it be cool to add Van Nuys Airport?“, because I believe Airport Madness is more fun with crossing runways. Having said that, I think the game needs at least one beginner airport, and that’s why I’ve chosen Kingston, Jamaica with its’ single runway operation. I’ve avoided certain things like flight information displays. I had considered adding computer screens that would display information about each aircraft, such as destination, altitude, route, number of passengers and so on, but I just don’t think it adds any fun value. 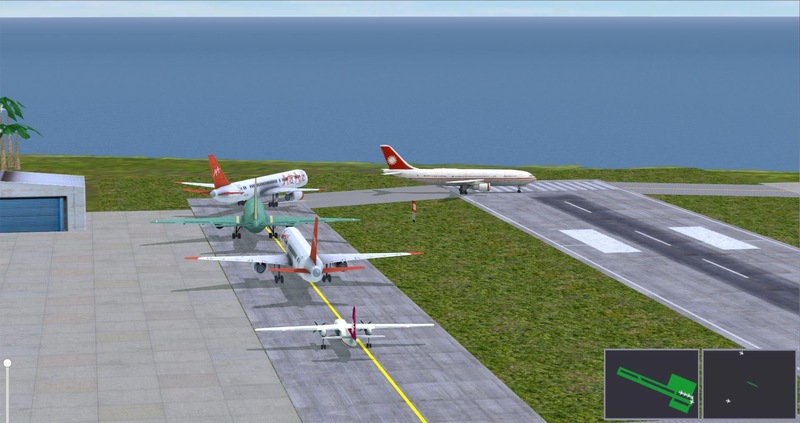 Airport Madness is fun because it is an incredibly fast-paced game. Crashes are abundant. Not terribly realistic, but seldom boring.